Pregnancy and the childbearing years are the most transformative years of our lives – both physically & mentally. It is a time when you no longer just have yourself to think about, you have a growing baby to consider as well. Your health during pregnancy and how you look after yourself not only impacts you and your unborn baby now; it influences your postpartum recovery and your child’s future. With this in mind, staying healthy during your pregnancy should be a priority for every mama-to-be! Exercising during pregnancy has a plethora of benefits to you and your unborn baby, such as improving fatigue and sleep, increasing strength and your ability to have an active labour, optimising your postpartum recovery, reducing your risk of gestational diabetes and pre-eclampsia, and increasing amniotic fluid levels and viability of the placenta (Moyer et al 2015, Prather et al 2012 ). Read more on why exercise is so important in pregnancy here. The key to exercise is knowing how to do so safely, taking into consideration your pelvic floor. Pregnancy is not a time to continue exercising as intensely as you did previously. It is a time to nurture your body and ensure you feel energised and strong after exercising. I recommend doing a combination of low-impact cardiovascular exercise, strength training, core exercise and stretching. Examples are brisk walking, swimming, aqua aerobics, pregnancy Pilates and yoga, light machine weights or resistance band work. The most recent guidelines from the American College of Obstetricians and Gynecologists recommend 20-30mins of exercise per day (or most days) of moderate intensity. You can measure moderate intensity by the “talk test” – your ability to have a conversation during exercise. Find out more on the do’s and don’ts of exercise during pregnancy here. Note: Before starting any exercise in pregnancy make sure you obtain clearance from the medical professional in charge of your care. This is to ensure there is no medical reason why you should avoid exercise. I can’t stress enough the importance of doing pelvic floor exercises regularly during pregnancy. The evidence shows that pelvic floor exercises can prevent bladder leakage and prolapse after childbirth (Hilde and Bo 2015). If you don’t know what a prolapse is, it is when a pelvic organ (bladder, bowel or uterus) drops down into the vaginal canal giving you a very uncomfortable heavy sensation. Prolapse can be very distressing for women and is definitely something you want to avoid by doing your pelvic floor exercises! The key to pelvic floor exercises is doing them correctly. So make sure you see a Women’s Health Physiotherapist to teach you this. You can also download my FREE Pelvic Floor Guide here. As important as it is to have strong pelvic floor muscles during pregnancy, you also need to ensure your muscles relax completely as well. This is because the pelvic floor muscles need to stretch and relax to accommodate your baby’s head during childbirth. As a result, learning how to relax your pelvic floor muscles with your breath is an important strategy for childbirth. Pregnancy is a time when your body is working on overdrive to create and sustain new life. Therefore it is essential to nourish your body with the quality macro and micronutrients you and your unborn baby require. Ideally healthy eating habits start preconception so you are in a good routine by the time you are pregnant. Key principles of healthy eating during pregnancy include eating plenty of vegetables (especially dark leafy greens), good quality organic protein, bone broth, slow cooked meat, fish (wild caught salmon, sardines), good fats (avocado, nuts, seeds, olive oil, butter, coconut oil, eggs), full fat and fermented dairy; and cutting out packaged/processed foods, refined carbohydrates and sugar, vegetable oils, fried food, and soy. Eating 3 nutrient dense meals a day plus snacks is important to stabilize your blood sugars and keep you satiated. If you suffer from morning sickness, you may find you are better off eating smaller meals more regularly. It is a common misconception that women can eat what they want or “eat for two” during pregnancy. No doubt there will be times when nausea or cravings will take hold and eating anything is better than nothing! However, it’s important to educate yourself with up-to-date, evidence-based information on prenatal nutrition so you can make informed decisions on your food choices. 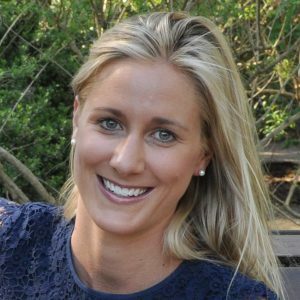 A fantastic resource is Prenatal Nutritionist & Dietician, Lily Nichols – you can read her guest blog here. In order to receive individualised nutritional and supplementation advice, I recommend seeing either an Integrative GP or Nutritionist. When you become a new mama, life can be chaotic and the demands on you dramatically increase – both physically and emotionally. In preparation for this, women need to start prioritising their health and wellbeing during pregnancy. Learning how to slow down, create space for themselves and doing so without excessive guilt. You see, when you are looking after yourself and filling yourself up with whatever your mind/body needs on any given day, it is far from selfish, it is absolutely necessary. It will give you the energy you need to nurture your bubs and your other relationships, rather than giving from a depleted state. I encourage pregnant women to make time for themselves every week (if not every day) to firstly look after themselves and their growing baby, and secondly create a self-care habit for postpartum. Self-care can be any activity that makes you feel relaxed and rejuvenated. It will look different for every woman, but might include having an Epson salt bath, going for a walk along the beach, having a massage or facial, reading a book or meditating. Speaking of meditation – this is something I recommend every mama-to-be learns. Let me explain why. Meditation has so many amazing benefits. It has a profound effect on calming the mind and reducing stress. During pregnancy and motherhood, meditation is a tool that will help keep you calm, less anxious and help you navigate the demands and changes that accompany this transformational time of life. Studies show that anxiety levels in pregnancy impact the unborn child and can lead to long term effects on the child’s mental, behavioural and emotional health. This emphasizes just how critical it is that women do what they can to reduce their anxiety levels during pregnancy. Meditation isn’t a one hit wonder. It has an accumulative effect so requires daily discipline. Even 5 minutes a day can make the world of difference to your life. There are several different types of meditation, such a Vedic meditation, guided-meditations and breathing techniques, so you need to find one that feels right for you. Personally, I do Vedic meditation (or transcendental meditation) and I can’t recommend it highly enough. If you are interested in learning, then find a Vedic teacher in your area or you can start with an app like one giant mind. Feeling supported, physically and emotionally, during pregnancy is an essential ingredient to maximizing your health and happiness. This support can come from various sources such as family, friends, other pregnant women, support groups and health practitioners. Surround yourself with health practitioners whom you trust. Not only can practitioners help you on a physical level, but they can also educate and empower you with information, and support you emotionally. Your support network of practitioners could include a Women’s Health Physiotherapist, Integrated GP, Massage Therapist, Nutritionist, Psychologist/Counselor, Kinesiologist or Acupuncturist. American College of Obstetricians and Gynecologists (2015) Physical activity and exercise during pregnancy and the postpartum period. Committee Opinion No. 650. Obstet Gynecol 125: 135-142. Downs et al (2012) Physical activity and pregnancy: past present evidence and future recommendations. Res Q Exerc Sport 83: 485-502. Evenson et al (2014) Guidelines for physical activity during pregnancy: comparisons from around the world. Am J Lifestyle Med 8: 102-121. Hilde and Bo (2015) The pelvic floor during pregnancy and childbirth, and the effect of pelvic floor muscle training on urinary incontinence – a literature review. Current Women’s Health Reviews 11:19-30. Moyer C, Reoyo O, May L (2016) The influence of prenatal exercise on offspring health: a review. Clinical Medicine Insights Womens Health 9: 37–42. Nichols L (2018) Real food for pregnancy: the science and wisdom of optimal prenatal nutrition. USA. Persinger R et al (2004) Consistency of the talk test for exercise prescription. Med Sci Sports Exerc 36: 1632-6. Prather H, Spitznagle T, Hunt d (2012) Benefits of exercise during pregnancy. Physical Medicine and Rehabilitation 4: 845-850. Shahhosseini et al (2015) A review of the effects of anxiety during pregnancy on children’s health. Mater Sociomed 27:200-202. Stefani L, Mascherini G, Galanti G (2017) Indications to promote physical activity in pregnancy. Journal of Functional Morphology and Kinesiology 2: 1-7. Wolfe L, Mottola M (2002) Physical Activity Readiness Medical Examination for Pregnancy: PARmed-X for Pregnancy; Canadian Society of Exercise Physiology & Health Canada: Ottawa, ON, Canada. Wolfe L and Weissgerber T (2003) Clinical physiology of exercise in pregnancy: a literature review. Journal of Obstetrics and Gynecology Canada 25: 473-483.